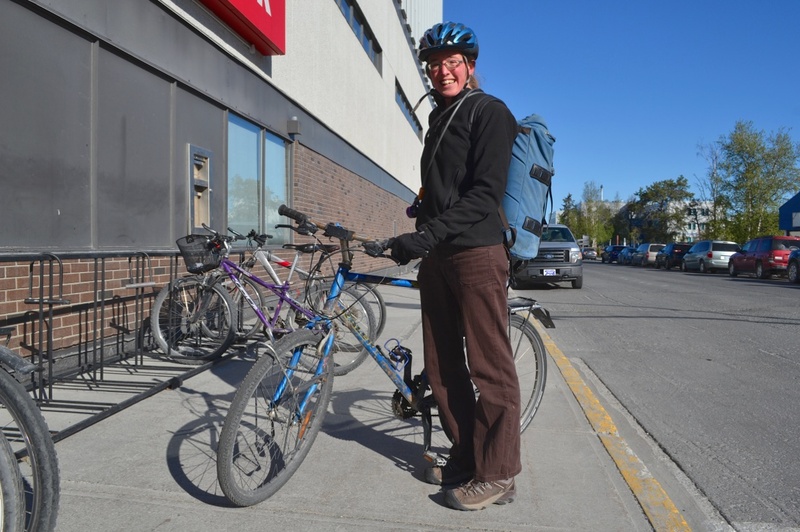 ©TIMB – Yellowknife cycling community may be small, but it is committed. “I ride all year round. I love riding my bike. I grew up in a small town in southern alberta and riding to school all year round from kindergarten. I have just rode my whole life. I moved here eight years ago and it is great during the winter and there is always a place to park at the bike rack in the winter. “There are about 20 people here who ride all year round. The main thing is having warm gloves. For me the biggest challenge is keeping my glasses from fogging. You have your face covered and the vapour from your breath goes up onto your glasses and then it freezes. If you can keep that under control. Photographer’s notes: There is a cliché about Canada and their incredible friendliness. That Canuks are one of the most open and accepting people. That was best shown here with this rider. I rode up on a person who had never seen me before and she was immediately eager to chat, talk, discuss. It was an immediate friendliness that exceeded everything expected. When I asked her to talk about her bike, it was an immediate release of ideas, thoughts, memories. We stood on the sidewalk chatting and chatting until a friend arrived, then I was piloted over to her and another great exchange. It has not convinced me to return to Yellowknife in the winter .. but Michelle, tomorrow’s entry, might have persuaded me. This entry was posted in commuter, mountain bike, North America and tagged 2015, Canada, June, Northwest Territories, Raleigh. Bookmark the permalink.